The well-respected artists at Fat Cat Flowers crafted these beautiful floral arrangements, lining both sides of the aisle for an elegant outdoor wedding at the Elms Mansion on a fabulous late September afternoon. Their work is always impeccable, and the displays they create are breathtaking. 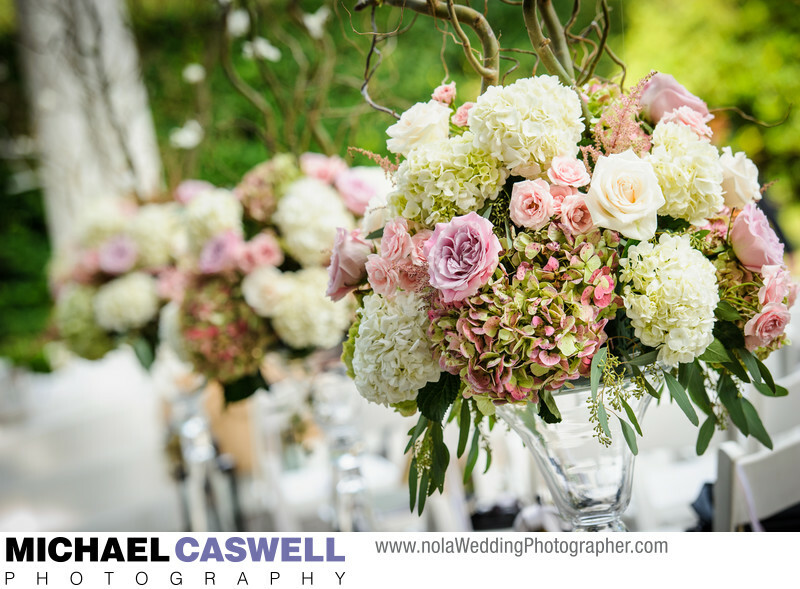 It's no wonder that Fat Cat is unquestionably a favorite among New Orleans brides seeking gorgeous, no-compromise decor for their ceremony and reception. There are many other outstanding florists in this area as well, including Urban Earth, Nola Flora, Kim Starr Wise, Bee's Wedding and Event Designs, and Dunn and Sonnier.